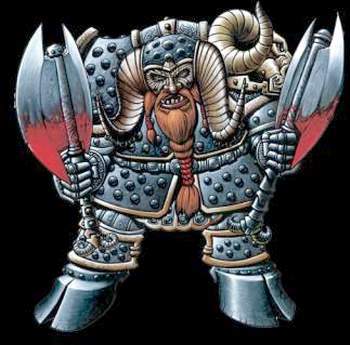 Specializing in two-handed combat, the Axe-Horn warriors are an elite order of fighting Dwarves. Their academy trains them for fluid attacks and parries, and many an Elven Milita has found itself weaponless and being cut apart by these practiced close combatants. The Axe-Horn Warriors represent a withering presence on the battlefield and signal their charges by crossing their two axes before their chests. It is not uncommon for Axe Warriors to be positioned behind Warshield Units which allows them to move into close combat safe from most missile fire.